What are your odds of surviving your surgery? It's one thing to check out the reviews on the latest iPhone. After all, you might want to compare it to another model. There might be a little more at stake, however, if you are selecting a surgeon for a major operation. So now the non-profit Consumers' Checkbook/Center for the Study of Services has launched a new site, SurgeonRatings.org, where specialized physicians will be evaluated based on patient outcomes. For example, patients will be able to see how often patients of a particular surgeon die in the hospital or within 90 days of hospital discharge, have serious complications while in the hospital, or need to go back within 90 days of discharge for problems connected to the surgery. The reasoning behind the ratings site is simple. 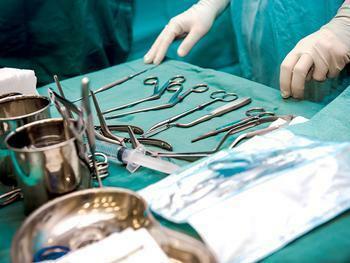 The operators want consumers to be able to pick the best surgeons and avoid the bad ones. Consumers' Checkbook says preventable medical errors kill an estimated 200,000 patients a year and are now the third leading cause of death in the U.S. That's nearly six times the number of Americans who die each year in auto accidents. Doctors will no doubt protest that the ratings can be skewed if a particular surgeon operates on a large number of patients who are in frail, fragile condition before the operation. They could also argue that they shouldn't be held accountable if a large number of those patients don't make it. Consumers' Checkbook says its case analysis takes all that into consideration. It also says it had to fight various U.S. government agencies in court for years to get access to the records it needs to render its judgments. The new site will rate surgeons on 12 types of high-risk surgery, including various types of heart and vascular operations, major bowel surgery, spine and pulmonary operations, and total knee and hip replacements. The analysis found that in heart valve and bypass operations, the highest-rate surgeons lost only 3% of their patients. The lowest-rated surgeons in that category lost 10% of their patients. If research by the Harvard Medical School is any indication, the new site will prove popular with patients, but doctors might be slow to embrace it. In general, the study showed doctors were less supportive than patients of sharing data on public review sites and were more likely to trust information on health system websites, which tend to rate their own physicians. Patients, meanwhile, were more trusting of the independent review sites.